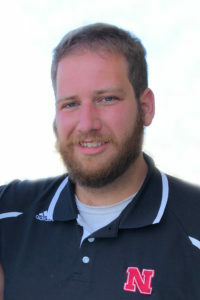 Josh N. Bartek, 28, of Wahoo, NE, passed away on Friday, January 25, 2019 at his home near Wahoo, NE. He was born October 25, 1990 in Fremont, NE to Ron and Cindy (Nichols) Bartek. Josh graduated from Wahoo High School in 2009 and Southeast Community College with a degree in auto body repair. Josh loved going out with friends, bonfires, listening to music and spending time with his cats. He enjoyed trips with his family and he was a huge Husker fan. He is survived by his mother, Cindy Bartek; sister, Emma Bartek; grandmother, Donna Nichols. He was preceded in death by his father, Ron Bartek. My condolences and love to Josh and his Dad, Ron, that also passed away this week. I pray love, healing, strength, joy, wholeness, and peace for their whole family and close friends, in Jesus name, Amen. Josh was a really good friend of mine. We would always talk husker football. Josh and I did alot of things together in the little time that I knew him. Baseball games, nascar races, tractor pulling. We did alot. I will continue to live life in your honor buddy. You were a good friend and great son. You go up there with your dad and watch over your family. Godspeed bro. I would like to say to the family that I’m deeply sorry for your losses. Josh was a great friend. I got to meet Ron a couple times and he was such a great guy to know. There are no words that can convey to you my deepest sorrow for you. Praying for peace and comfort in the coming days. May they both rest in peace. Although I don’t believe I had any influence on Josh. I did know him as an underclassmen at Wahoo. He was a nice guy that made me feel included and I always thought of him as someone I could trust. Sorry for your lost, I know someday we will be reunited with our families and friends. I am so saddened by your loss. I knew Josh as an inquisitive and compassionate child, and Ron as a caring father, brother, husband, and dedicated farmer. God bless your entire family, Cindy, Emma, Mary Beth, Janet, LuAnn Laurie, Donna, Doug, Kevin, and Chris. My heart is broken for you, and my prayers for healing during this time are flowing your way. Josh was a great guy. I worked with him at eagle distribution and i genuinely enjoyed his company at work. He was always good to people and was just such a nice guy. Im glad i knew him and i wont forget him. My deepest condolences to his family. Josh was a fun-loving person who was generous, kind, and hard-working. It is a terrible shame to have him gone so soon. We will all remember him fondly. My condolences go out the Bartek family during this extremely trying time. To Josh, sorry to see you go. I hope you and all of our lost brothers and sisters find everlasting peace.